You can choose our mobile mechanic service or come to our Penrose Diagnosis and Service Centre (workshop). 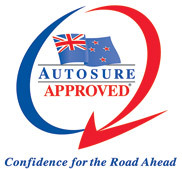 Our mobile mechanics and auto electricians have worked on European cars here in NZ & overseas & because of our extensive experience, we are able to service and repair ALL European vehicles. Alfa Romeo, Audi, BMW, Bentley, Citroen, Fiat, Jaguar, Jeep, Mercedes, Peugeot, Porsche, Range Rover, Renault, Rover, Saab, Skoda, Volvo, VW.